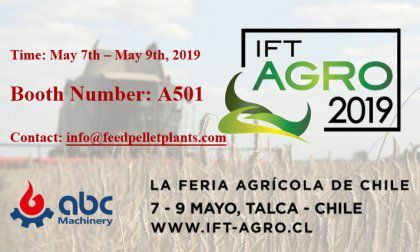 Feed processing industry, being related to the intermediate industries of planting industry, agricultural products processing industry and aquaculture industry, its production cost is subject to the dual constraints of raw material prices and prices of cultured products. As the price of raw materials rises and feed costs continue to increase, feed products increasingly shows a trend of low profit. Under the pressure of survival, feed enterprises have to reduce production costs. However, this is not a one-off event. Feed enterprises that are accustomed to extensive management cannot complete the transition to intensive enterprises in a short period of time. This requires a difficult journey and needs more. 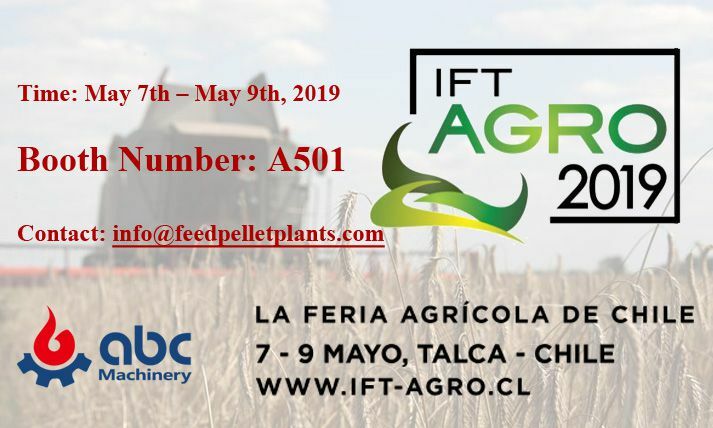 From the height of strategic development, feed enterprises re-examine existing cost control ideas and cost control measures, and arrange the layout of cost control from a global perspective. In reality management, most enterprises tend to attach great importance to the cost control of the manufacturing process, but ignore the prevention management and system management of cost control. They do not consider too much the negative impacts of production process, product design, formulation design, raw material selection and other factors. The production cost control is small and magnified, so that the feed production cost is always high. The cost control of feed enterprises is originally a systematic engineering. At the beginning of its product development and market positioning, cost control has infiltrated into it. Before the formulation is put into production, the value which determines the overall cost has been confirmed. The real cost control should be to control the cost in advance and in progress. In advance, do cost forecasting, cost decision-making, cost planning, cost target formulation and cost index decomposition. In process, do raw material procurement, raw material storage, production and manufacturing, finished product storage, equipment maintenance and other work well. Afterwards, the completion of cost control should be assessed; the analysis of implementation and the benefit of control results should be done. Compared with other costs, manufacturing costs are easier to quantify and control, but after rectification, the role of product cost reduction will be weaken. On the contrary, the impact of system management on cost runs through the whole development of enterprises. A slight negligence will cause an infinite amplification of the butterfly effect. The influence of system management on feed production costFeed enterprises' production costs can be subdivided into raw material costs, manufacturing costs, packaging costs, depreciation costs, loss costs, warehousing costs, etc. Although these costs are controlled by technology, quality control, procurement, production and other departments, they affect the overall situation. A department's work mistakes or minor adjustments will affect the overall cost control work. Therefore, systematic thinking is particularly important for enterprises to succeed in cost control. Manufacturing cost is an important part of production cost. It mainly consists of power consumption, steam consumption, coal consumption, water consumption, material consumption, equipment maintenance cost, labor cost and management cost. In reality management, the production rate, equipment utilization rate, product qualification rate, production plan completion rate, package weight error of finished products, residual amount of raw material packaging, moisture error of finished products and other indicators are used to control and assess the manufacturing cost of feed enterprises. In the manufacturing process, there are many factors affecting the cost of products, but in summary, there are five main factors: personnel, machine, material, method and environment. Manufacturing cost control should start with the design of production process and product design. Non-productive factors affecting manufacturing cost mainly include production process and layout, equipment selection, raw material selection and formula composition, product processing standards, etc. It is a common practice for modern feed enterprises to occupy the market first and build factories later. The basic process of this method is to determine the best production process according to the main product design standards, to determine the production capacity and scale according to the sales volume of a certain time in the future, and then to select appropriate equipment and determine the rational layout of production facilities according to the determined process and production capacity. According to the production line determined by this process, the factors such as hourly production capacity of production cost, water and electricity cost per ton of products, spare parts cost per ton of products, maintenance cost per ton of products, labor cost per ton of products and loss of raw materials per ton of products can be clearly calculated. The manufacturing cost of the products produced is the lowest and the quality of the products is the best. This is the difference between professional and non-professional feed production lines. For example, under the same scale of production, the production cost of the professional production line of laying hen feed is very different from that of the general production line of livestock and poultry feed at the same time; when the same product is produced under different scale of production, the production cost will also be very different, and the production cost of the 20t/h feed production line is different from that of the 0.5t/h feed production line. After more than 20 years of development, feed production technology has been relatively perfect and mature, from the initial intermittent manual operation to the modern automatic operation besides feeding process, from the original single livestock and poultry feed production line to the production of high-standard, high-quality shrimp s feed production process, extruded fish feed production process, and so on. 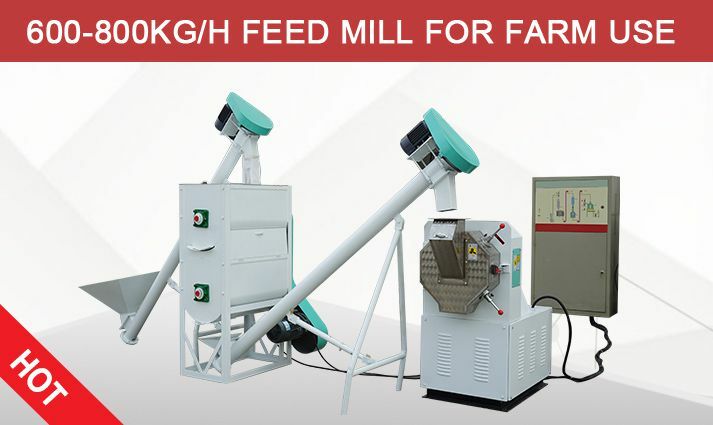 The progress of technology brings about the revolution of feed production equipment. Different production processes need different production equipment. Not only the quality of products processed by different types of equipment is different, their efficiency and cost are also different. For example, in the same case, when producing granular materials below 3.0mm, the assembly speed of the ring die of the hoop pellet mill is much faster than that of the bolt pellet mill; although the one-time investment of the two-axle pulp-blade mixer is larger than that of the single-axle mixer, the mixing time of the two-axle mixer is 2-3 minutes less than that of the single-axle mixer, and the mixing uniformity is higher than that of the single-axle mixer. Volume screw air compressor invests more than piston air compressor, but the quality and stability of compressed air produced by screw air compressor is incomparable with piston air compressor. Although the price of stainless steel ring die with the same compression ratio and caliber is twice higher than that of alloy steel ring die, the quality assurance time, service life and wear resistance of stainless steel ring die are alloy steel ring die. It is incomparable that the use cost is much lower than that of alloy steel ring die; although the price of imported pressure relief valve is tens of times that of domestic pressure relief valve, the service life of imported pressure relief valve is thousands of times that of domestic pressure relief valve, thus saving equipment maintenance time, the production benefit and quality stability brought by equipment failure time are incomparable with domestic pressure relief valve. There are many examples of this kind. Therefore, in the selection of equipment and accessories, one-time investment should be taken into account, but more importantly, the cost-performance ratio of equipment maintenance and accessories, as well as all the related hidden costs and comprehensive benefits should be considered. For feed formula, the price and nutrient composition of raw materials are the key to determine the cost of feed formula, but for feed processing, the processing performance of raw materials affected by moisture, crude fiber content, crude fat content, gelatinization temperature and other factors is an important factor affecting production efficiency and production cost. 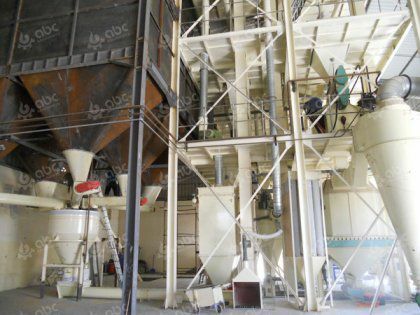 For example, the moisture content of raw materials will not only affect the crushing efficiency, but also affect the steam addition in the granulation process. When the moisture content of semi-finished products is large, the steam addition will decrease. Because of the low tempering temperature, the materials can not be completely gelatinized, the production efficiency of granulation will decrease and the production cost will increase. The raw materials with high crude fiber content are easy to crush, but have obvious inhibition on the steam addition. 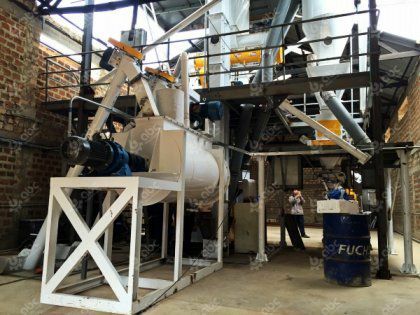 The finished product will reduce the speed and quality of granulation because of low tempering temperature and low moisture content; the raw material with high fat content is easy to granulate, but not conducive to crushing. 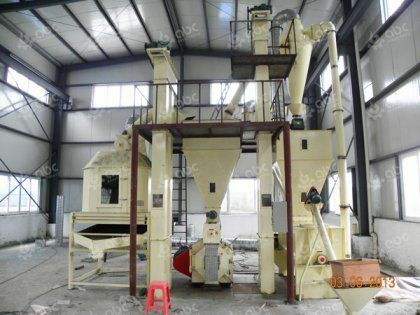 When crushing, the current is increased, the power consumption is increased and the production efficiency is decreased because of the blockage of the sieve hole of the crusher; the viscous raw material with high sugar content is the material with the worst processing performance, because of its high sugar content, it is easy to stick to silo and stick to silo. 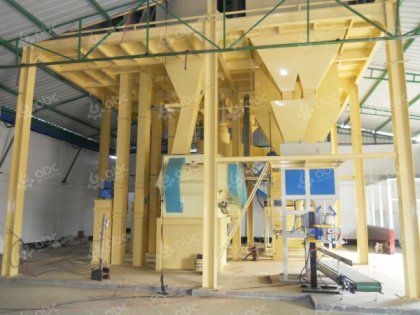 Equipment, not only affects the efficiency of mixing, long-term use, conveying equipment will become loaded because of stuck materials, serious, there will be scraper chain breakage, hoist belt breakage and other equipment accidents. At the same time, it will also have a negative impact on the granulation performance. Therefore, when considering the composition of feed formula, the formulator should consider not only the cost but also the production and processing performance of the formula, because the formula is converted into finished products through production; if the feed formula is not suitable for the production and processing, even if it is reasonable and the cost is low, it has no practical significance. For example, formulators should give preference to feed materials with high nutritional value and low manufacturing cost in feed formulation design. If a variety of liquid ingredients are added to the same formula, the mixing time will be prolonged, batches of ingredients will be reduced, and the production cost will be increased; the more complex the composition of the formula, the longer the batching cycle, the higher the production cost; the more complex the formula and product structure, the lower the production efficiency will be. 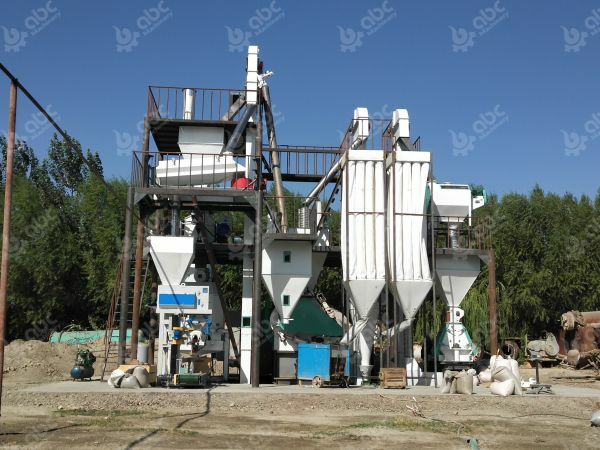 The main product processing standards are: material type, crushing particle size, feed pellet diameter, pellet length, conditioning temperature, sieve size, particle powder content and percentage of powered pellets. The determination of these processing standards is mostly based on the needs of animal growth, but sometimes it will be mixed with hype factors of market sales and change. The higher the processing standard, the higher the production cost. For example, the processing standard of aquatic feed products is higher than that of livestock and poultry materials, and the production cost is obviously higher than that of livestock and poultry materials; in similar products, the processing cost of feed pellets is obviously higher than that of crumble feed; the processing cost of small crushed particle size is higher than that of large crushed particle size; the processing cost of small diameter feed pellets is higher than that of large diameter feed pellets; the lower the crushing rate and percentage of powered pellets are, the higher the processing cost is. Avoiding over-processing and setting reasonable parameters are effective measures to reduce feed manufacturing costs. In summary, there are many factors affecting the animal feed production cost. Only from the actual situation of the enterprise, can we deeply analyze the chain reaction of each factor on the production cost and the relationship between them, and thus obtain the idea and method of cost control, and the cost control work can achieve significant results. It is not an empty word to strive for survival by quality and benefit from management. Feed manufacturing enterprises should establish cost control system with enterprise characteristics and carry out process, institutionalization and standardization management just like establishing quality management system. Only when cost management of enterprises becomes from difficult to easy, complicated to simple, can cost control be carried out by all staff and in an all-round way be carried out in truly implementation.